Custom banners are not only affordable but also very useful for promoting your brand, values, mission, products, services, upcoming events, or any other message you want to deliver to your customers. If designed well, custom banners will stand out and attract your target audience’s attention to what you want to inform or promote. The best part is that you can place them anywhere you want, like in your office reception, a conference room, or even in the hallways. Print banners can be used for almost any type of event or marketing purpose. With our premium quality materials and high-end technology, you will also have a highly durable product that will last for many years to come. With that being said, if you want an affordable product for your office, store, event, or any other use you want, our custom banners are the way to go. 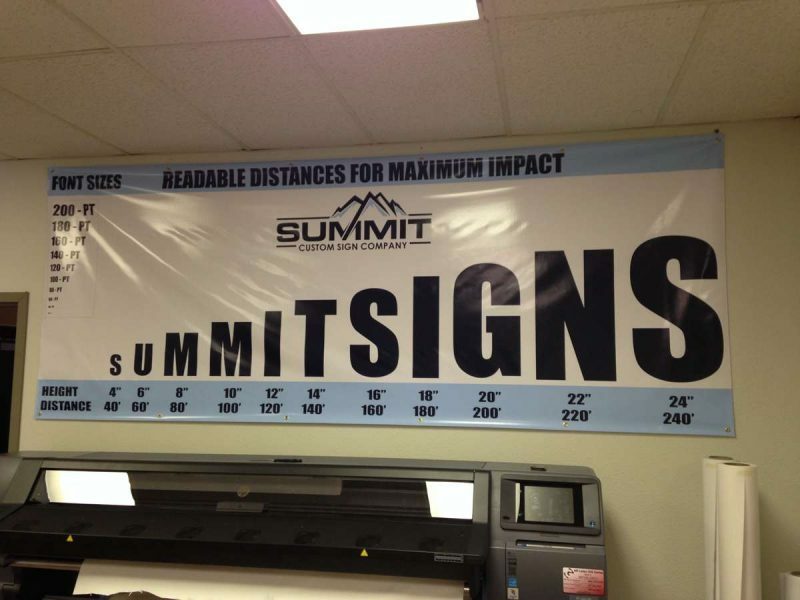 At Summit Custom Signs, we are ready to take your order and start working on your custom print banners or any other commercial signage solution you might need. Our years of experience, obsession with quality, and our dedication is what makes us the best choice for your marketing needs in Colorado. We want you to give us the opportunity to show you why many business owners choose our graphics design company for their marketing products and services. Browse our website and request your free estimate today, or contact us at 719-694-9146 to talk to one of our client specialists so we can discuss your ideas and start working on your advertising campaign.